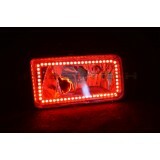 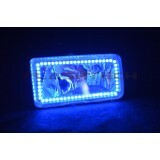 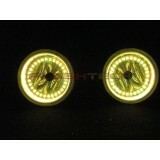 Flashtech Fusion V.3 Colorshift Halo Fog Light kit are the most advanced SMD LED halo ever designed. They have a wide array of ways to be hooked up and can be modified in the future without having to buy new halos again and again. 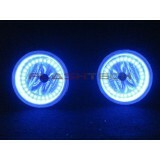 Your kit will come with LED rings and External LED Drivers. Instead of having everything built into the ring as old halos were built, Flashtech has designed an external driver which allows this item to be mounted outside of the headlight. If a failure occurs a simple replacement of the driver will fix most problems rather than having to open up the headlights to replace a ring. 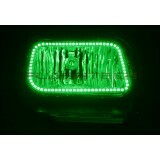 Chevrolet Silverado V.3 Fusion Color Change 03-06 LED halos, originally designed and uniquely man..
Chevrolet Silverado V.3 Fusion Color Change 07-13 LED halos, originally designed and uniquely man..
Chevrolet Silverado V.3 Fusion Color Change 2014 -2015 LED halos, originally designed and uniquel..
Chevrolet Suburban V.3 Fusion Color Change 07-13 LED halos, originally designed and uniquely manu..
Chevrolet Tahoe V.3 Fusion Color Change 07-13 LED halos, originally designed and uniquely manufac..
Chevrolet Camaro V.3 Fusion Color Change 10-13 LED halos, originally designed and uniqu..
Chrysler PT Cruiser V.3 Fusion Color Change 06-10 LED halos, originally designed and uniquely man..
Chrysler Sebring V.3 Fusion Color Change 08-10 LED halos, originally designed and uniquely manufa..